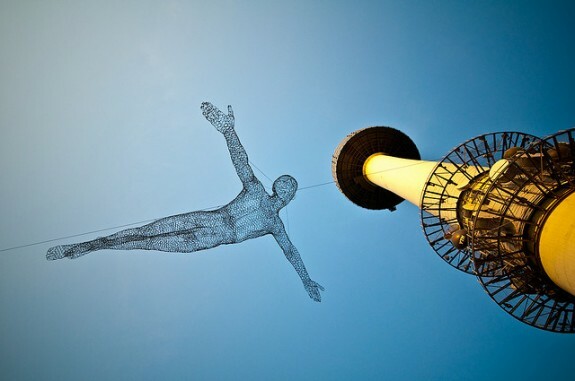 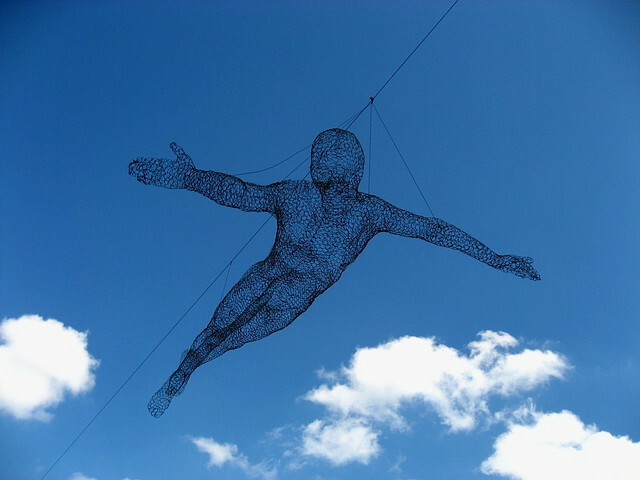 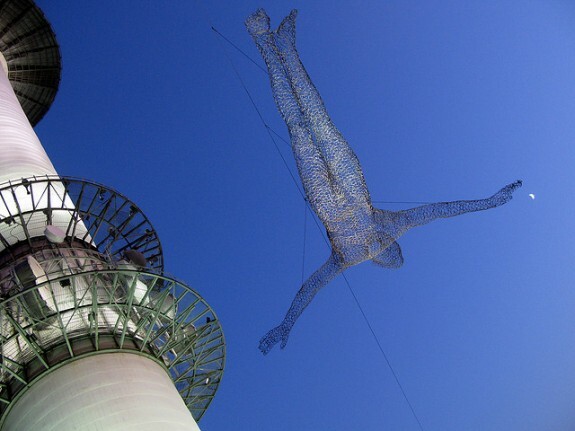 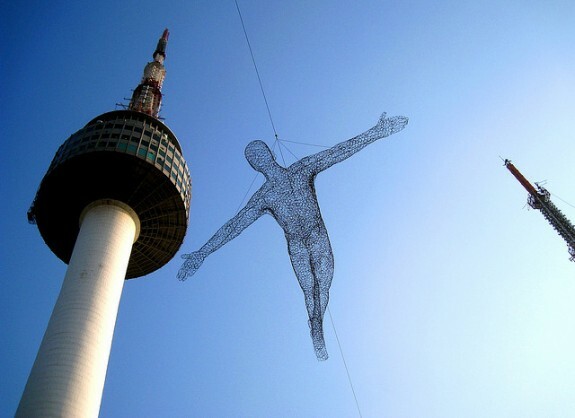 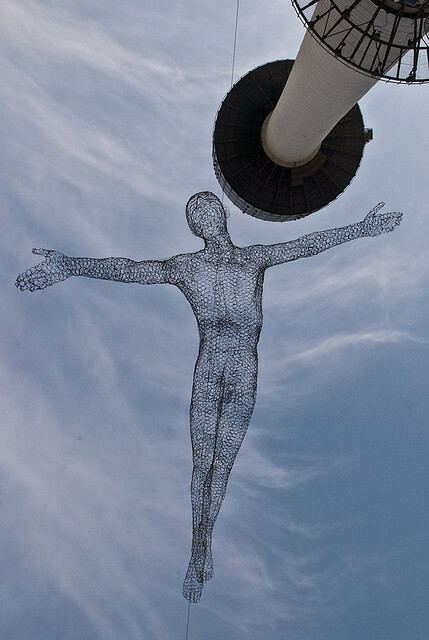 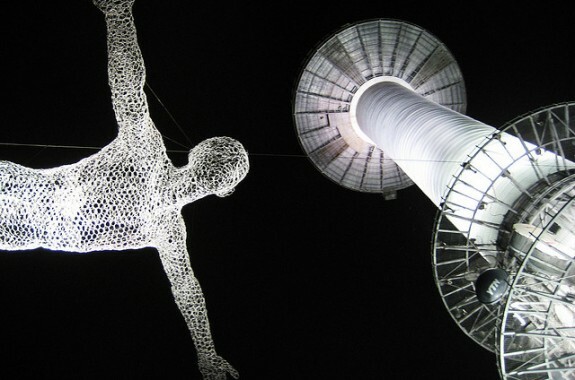 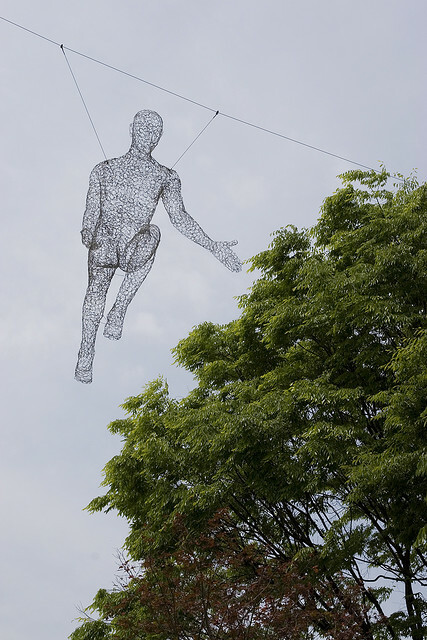 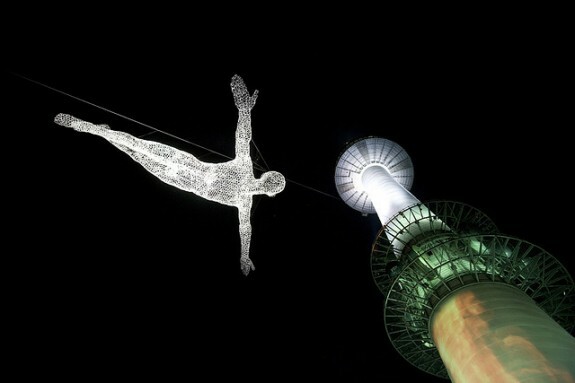 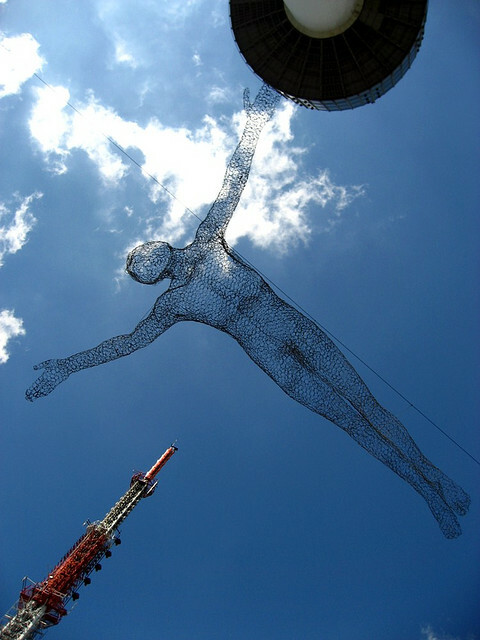 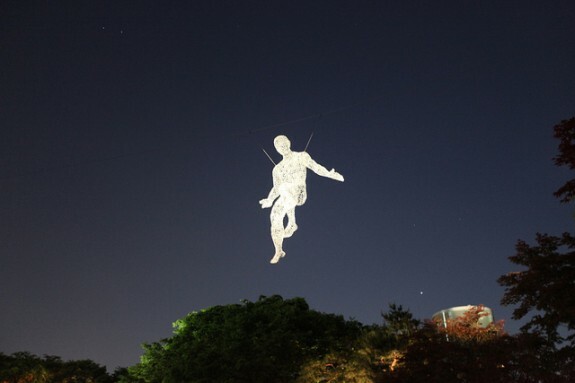 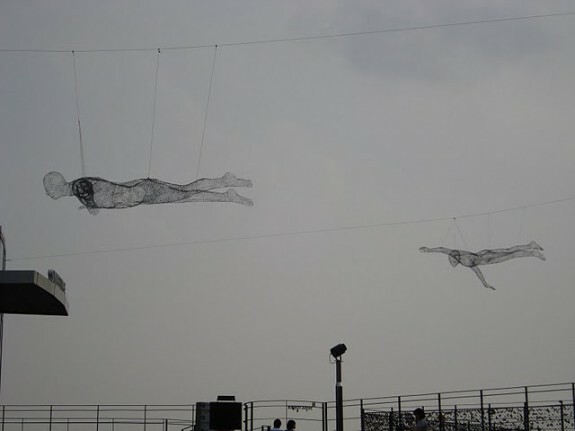 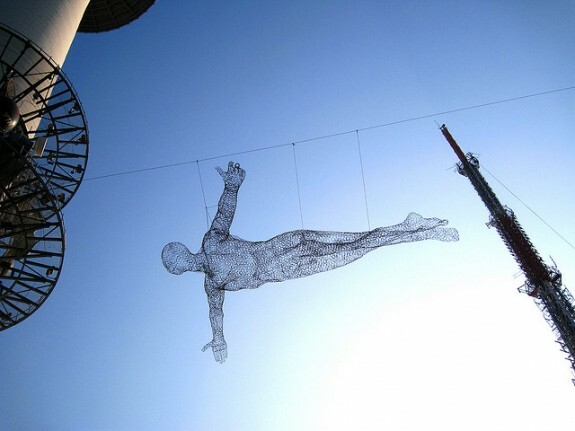 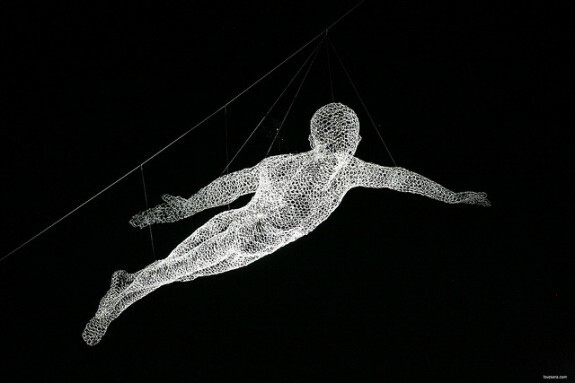 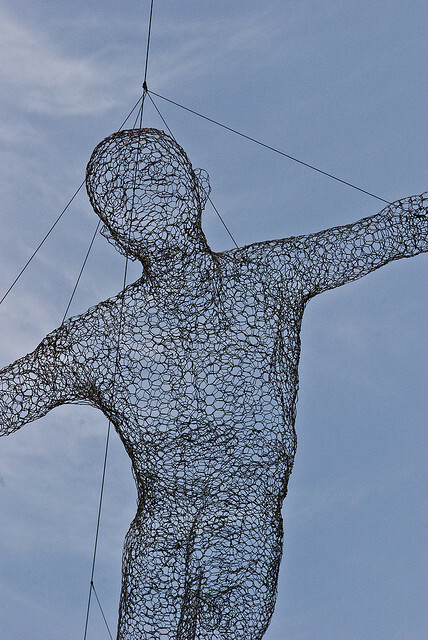 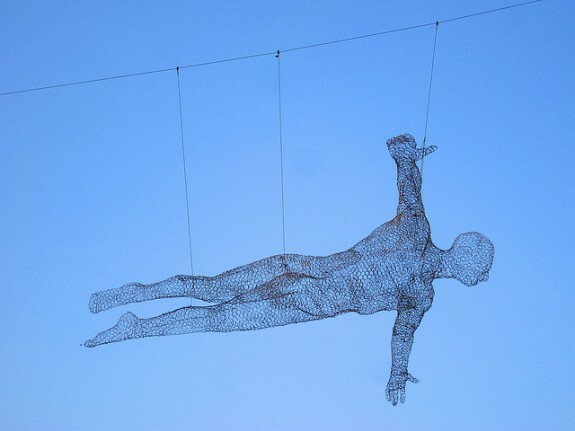 I discovered these wire mesh flying figures on Flickr and was instantly charmed by their whimsy. 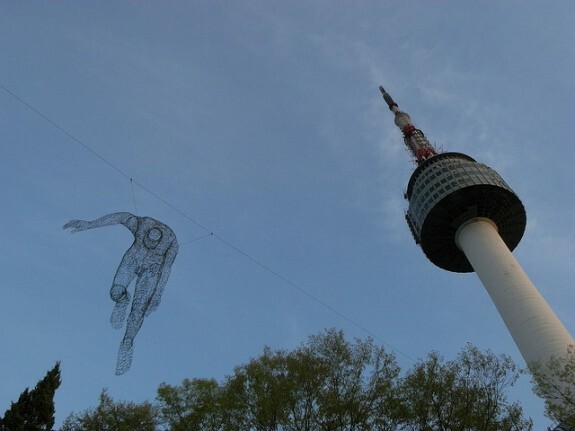 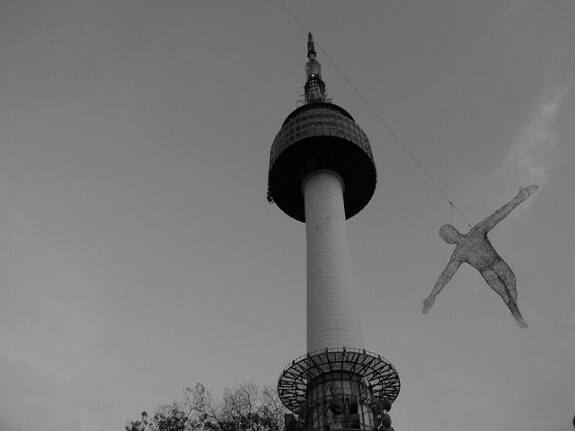 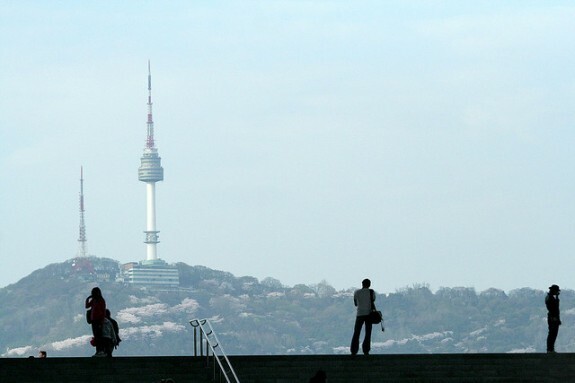 A little research revealed that they are located at N Seoul Tower, also named Namsan Tower (for Namsan Mountain), Seoul Tower and CJ Seoul Tower. 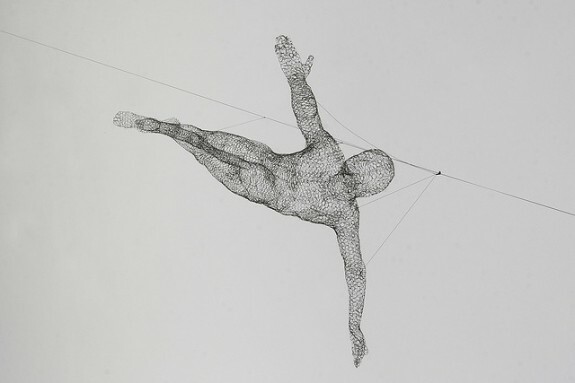 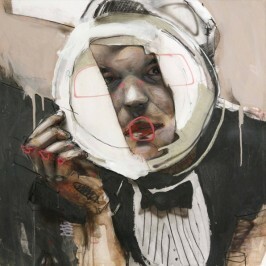 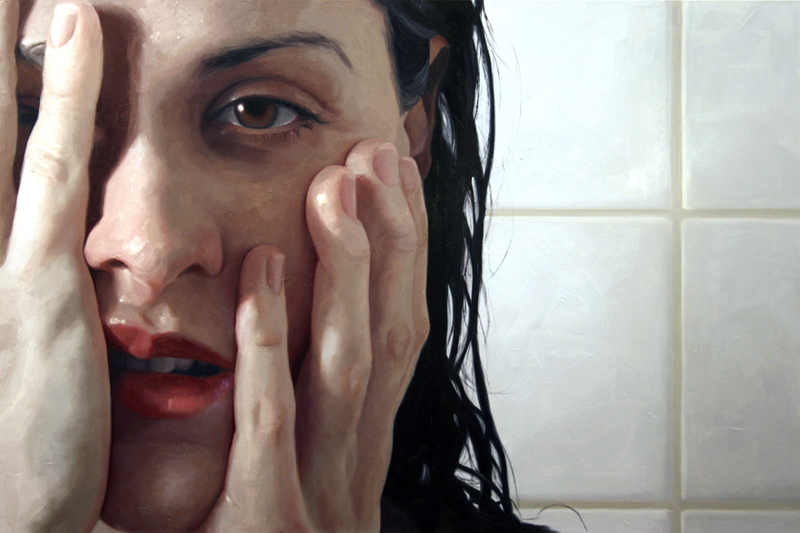 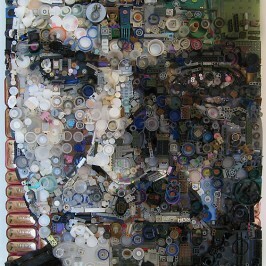 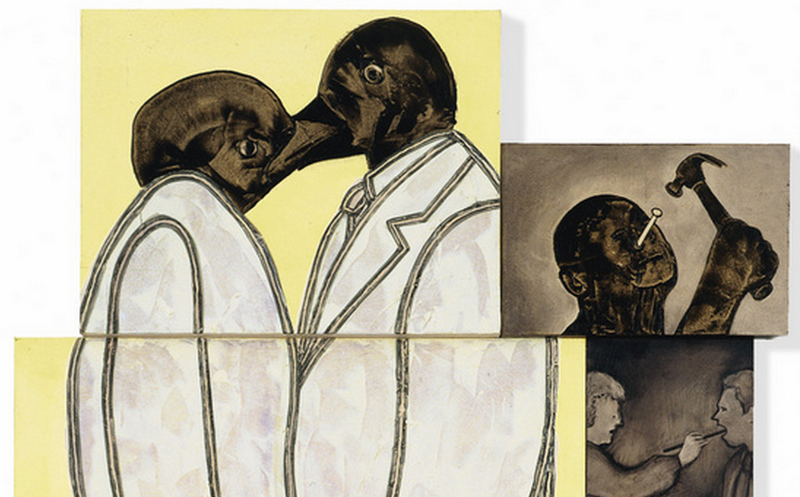 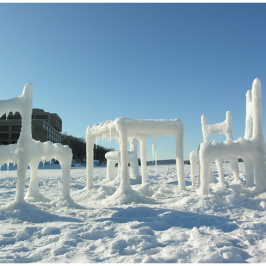 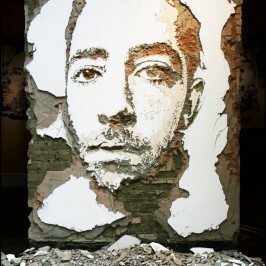 The sculptures are the creation of Toulouse, France based artist Cedric Le Borgne. 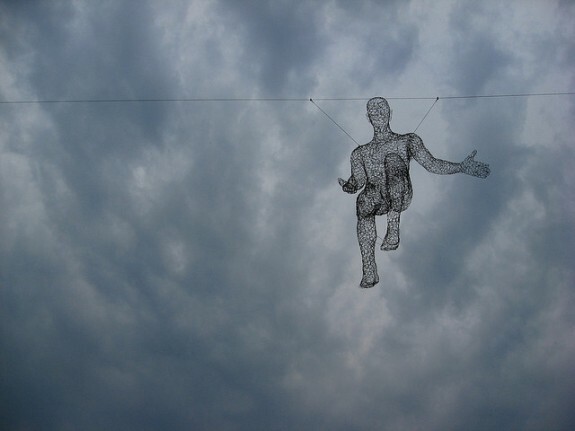 Here are some pictures of these wire men posted in the Creative Commons on Flickr. 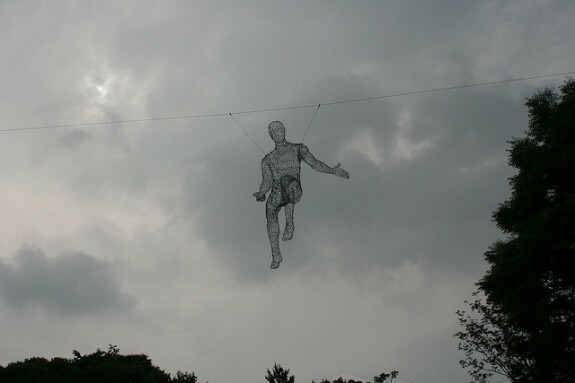 Dup? 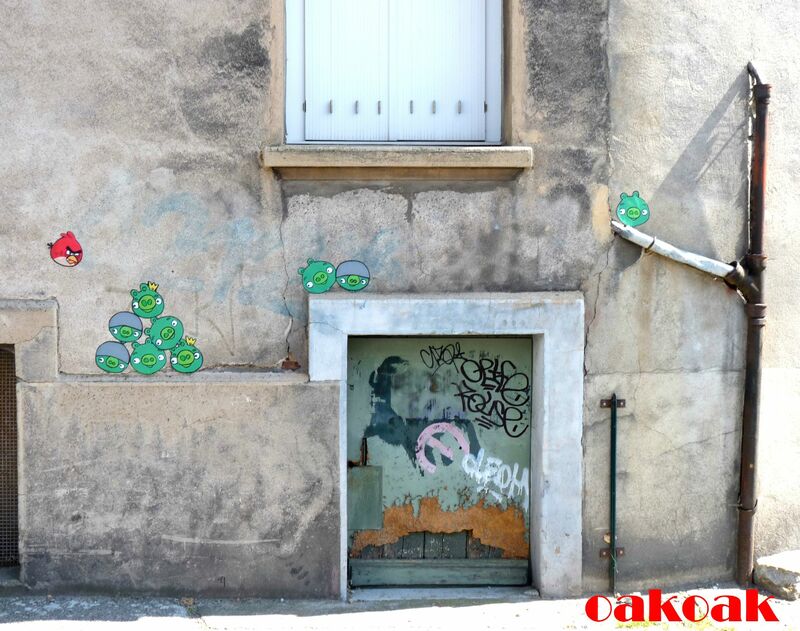 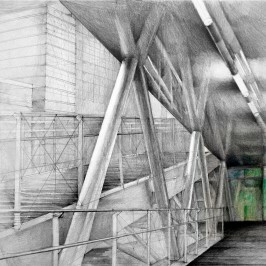 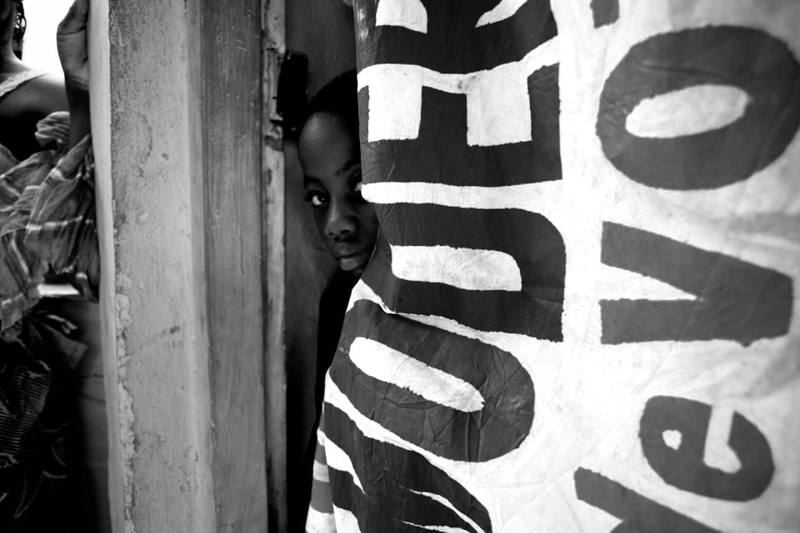 c?dere « O Lume Nou?